The 3 of us arrived in Hong Kong a few days ago and had a day to explore before getting down to why we are here. 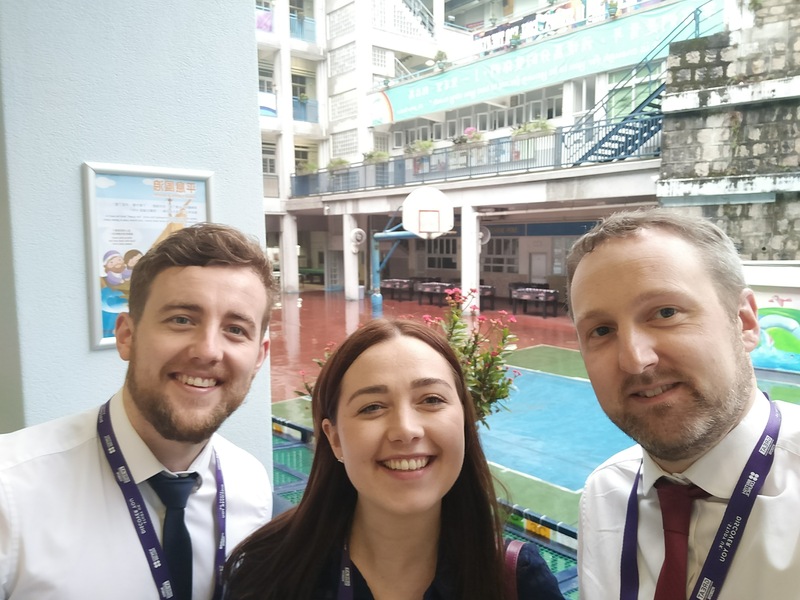 I am writing this at the beginning of Day 2, when we are just about to go into our first Hong Kong schools. The first consisted day of a series of meeting with the British Council, and Education Bureau to bring us up to speed with the education system here. There are a number of similarities with our UK system in so much as when you start school and the different types of schools. They also have similarities in the curriculum in terms of skills and content taught. Hong Kong has 3 core subjects, Chinese, English & Maths. State schools are the most popular with part-funded, private and international schools filling up the rest of the landscape. Parent contributions seem quite popular and where parents are not being asked for money, the support they give the schools is unlike what we receive in the UK. Children have pre school Kindergarten (nursery) and the primary school, is seems that education isn’t free until they start primary school. They then follow a similar system to the UK with exams at around 16, university seems to be at the age of 17 until 20. 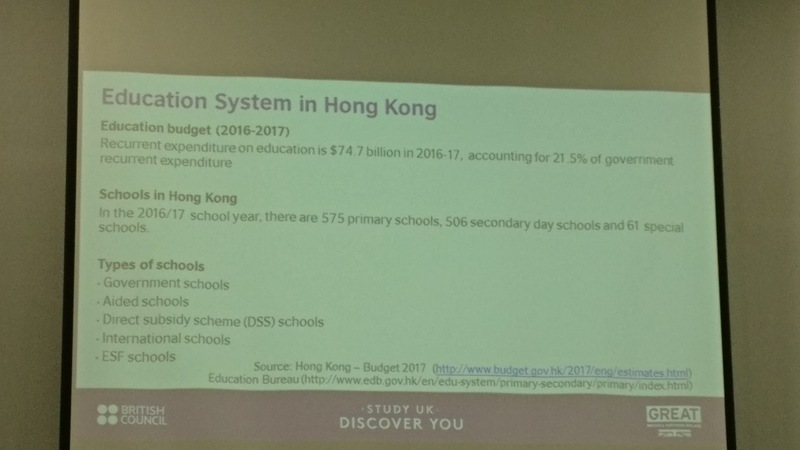 With Hong Kong ranked as number 9 on the PISA scale (even as high as 4th for Maths at P4) then understanding why they are so high is a key aim of this visit, seeing as they seem to have a number of similar challenges as the UK. What has hit us straight away is how highly the country thinks of their teachers, they are given the level of importance that we are unaccustomed to. They are highly regarded even by the government, which they speak very highly of. The education budget equates to about 20% of the countries overall budget (I am still hunting for the Wales equivalent, but I am convinced it will not be as much). A lot of the day was spent explaining the journey Hong Kong have been on in developing IT and what they call the Information Literacy Framework (ILF) which is the equivalent to our Digital Competency Framework (DCF). They are further along with this, starting their journey in 1998. Along the way there have been 4 steps, with the latest version coming out last year. What they seem to be working hard on at the moment is ‘coding’ and ‘STEM’ education. It has been a lot of sitting around today and often listening to very similar presentations. 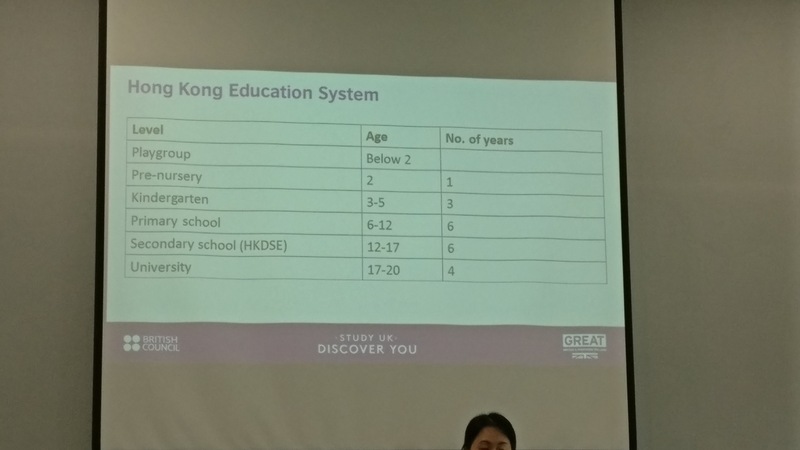 It is clear that Hong Kong has a clear IT curriculum and wants to develop the cross-curricular provision especially in computational thinking. The most promising days of this visit are yet to come and we I really hope we get to see the real picture of education in Hong Kong. Finally for today, it is worth noting that the Hong Kong government have give all schools money to make sure they have wireless networks, they seem to be working hard making sure schools have the correct and enough technology to deliver the curriculum successfully.